Wide support panels 8 oz. 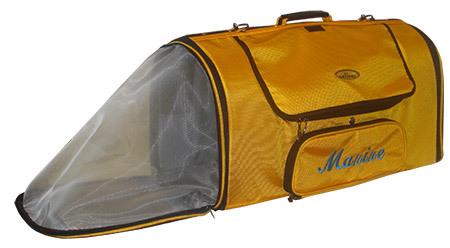 Celltei® Pak-o-Bird In-Cabin Airline Carrier is a horizontal design like a dog carrier. A foldable pouch is optional for extra room a bird with a long tail would prefer. It looks like a regular hand-held luggage to allow safe travel without drawing attention. It also offers the essentials for a comfortable journey for you and your bird! It is light in weight. The top opening allows your bird to keep eye contact with you while the carrier is placed underneath the seat in front of yours. A flexible plastic support system allows the carrier to be compressed downward to fit the available space without collapsing. A front window flap and two side curtains can be lowered to cover the openings. Inside the carrier are a few D-rings for strapping a bird toy or two. Insert the water bottle dispensing valve from the outside through a side grommet, your bird can have water anytime without creating a mess. Please get the carrier ahead of your scheduled flight to acclimate the bird. You can put it on the floor of a moving vehicle to get your bird used to the vibration and noises. The tail pouch when unfolded, offers the extra room for a bird with long tail to have the tail needs. To be foldable, this mesh used in this area is the flexible nylon mesh that can be chewed up. As such, it is not suitable for very active birds. Just completed an 11-hour flight to Israel with Izzy (African grey) in his Celltei airline carrier. It went really well, thank G-d!! I had no trouble getting him to go in to the carrier -enticed with treats-and he was calm and happy. (I was truly blessed to have an empty seat next to me, so after take off I put down the tray of the empty seat so he could easily see me and hear me. I had little trouble actually opening the door slightly at various times to offer him food, which he accepted from the perch. I took the suggestion of hanging a toy he likes to chew, so that when he started to chew the mesh, I put my finger on his beak and quietly told him no. He then turned to his pinata. The cage easily fit under the El Al seat for takeoff and landing. I would suggest getting your parrot used to drinking from the bottle sold on the site. I did not but wish I had, because the water in the cup was messy, although the cage cleaned up perfectly. Also, although I had no time to get him used to the cage prior to travel day, it worked out really well and I know he was comfortable! Thank you, Celltei!! 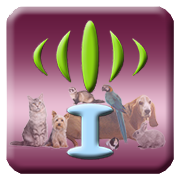 Great company to work with - great communication and even upgraded my shipping for me! The bag is awesome- very well made and the bird fits perfectly in it! I’m so happy to have something he can safely travel in now! Highly recommend this bird travel bag! I have a Green Cheeked Conure - Pinneapple and recently bought the In-Cabin Airline Travel Bird Carrier. We went on a long car trip and used this for my birds mini home while in the car. He loves it and feels very comfortable and safe. We are headed on a longer road trip in June and I’m extremely excited for him to come with - he loves this carrier!! It’s perfect for any travel. This is my second carrier from Celltei. My 1st carrier is the Pak-O Bird - he loves that as well - we use that to bring him outside and hang out. He loves to feel he’s with us but safe. Both of these carriers are built beautifully. I needed them both shipped to me fast because I’m unfortunately a last minute shopper but they came through for me - Arrived in perfect time! Also, Adding my birds name just finishes it off to perfection! My bird, Gilligan, and I would highly recommend them both! Love love love them!! We purchased one of these to get our African Grey from the western US to Europe. Worked great-- she was comfortable. She was in it for the better part of 24 hours-- on planes, a train, and an automobile-- so she had some time to worry it in places, but it's well made of quality materials and held up great. 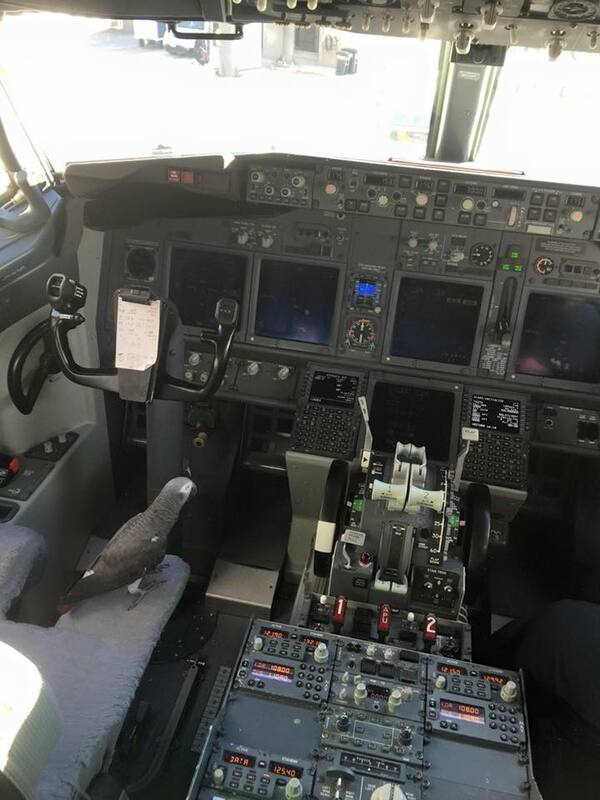 If you need to get a bird on a plane, I'd recommend it. After having several soft sided carriers chewed up mid flight in the cabin by my cockatoo, I finally caved and got one of these lovely carriers. The craftsmanship is of excellent quality, and I look forward to putting it to use the next time I go away! I worry a bit about the zippers on either end of the carrier and I know some chewing will happen, but I'm confident that she won't be able to get out of this one at least! My poor girl isn't quite as enthusiastic about the airline carrier as she is her backpack, but I'm sure she'll come around. Thanks as always for your awesome products and innovations! I bought the traveling carrier for my two conures and their first flight. It was very nice. I was surprised at the high quality construction and materials. my birds were ok and had everything they needed inside. There are just so many details. Definitely a must have for any traveling parront. I traveled cross country with Capone, my 18 year old Green Cheek Conure and he was extremely comfortable. The carrier looks awesome, great shape, and he's safe as well as has great visibility. It would have been ideal to include a few hooks on top to hang toys/or a tent. One issue I saw immediately after 10 minutes of use...the soft sided mesh window is concave and rippling after literally one use. Is this normal? Our sun conure looked in the airline carrier for the first time and decided it looked cozy and inviting -- she stepped into it on her own within minutes! I had hung a favorite toy from one of the designated spots. She feels safe and very happy in there. Great design and high quality.